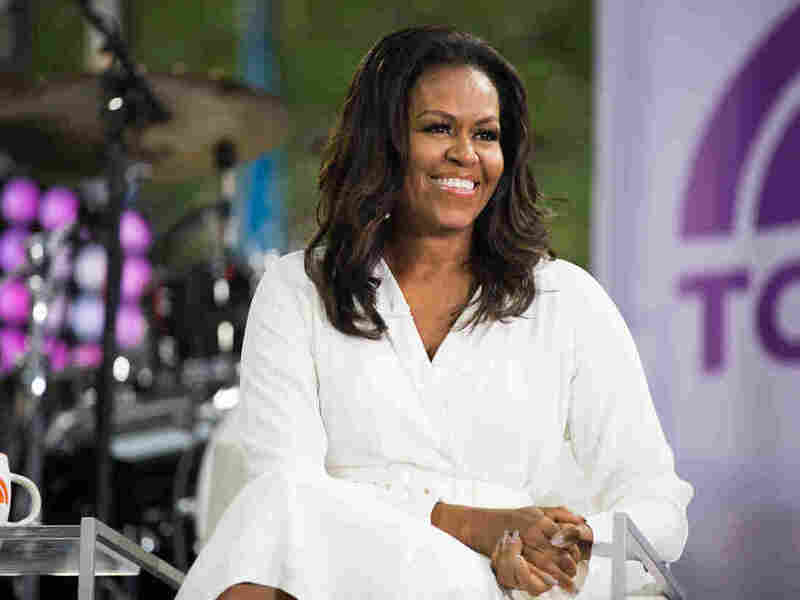 Michelle Obama Tells The Story Of 'Becoming' Herself — And The Struggle To Hang On The former first lady's new book is a story about her history, how that influenced who she is — and learning to adapt after agreeing to let that life be hijacked by politics. So it's perhaps a cruel irony that the first headlines about Obama's book have been about her anger at Trump. And that's because Trump, and Obama's accompanying contempt toward him, occupies a minuscule sliver of this memoir — a handful of pages, most of them toward the very end. In fact, it's probably unfair to have mentioned him in the second paragraph of this review. Actually, let's just start this whole thing over. You know Michelle Obama because of her husband. Michelle Obama knows you know her because of her husband. She's fine with that — not that it hasn't taken some work. There's a point about halfway through her new memoir, just after she arrives in Washington, D.C., with her husband, the newly minted junior senator from Illinois, where Michelle Obama realizes how fundamentally her very identity is shifting. "I'd been Mrs. Obama for the last 12 years, but it was starting to mean something different," she writes. "At least in some spheres, I was now Mrs. Obama in a way that could feel diminishing, a missus defined by her mister." And that feels like a clear (if inadvertent) window into what she's trying to do in this book. Obama's new book is, first and foremost, a story about how she became who she is — a highly accomplished lawyer-turned-public-servant-turned-hospital administrator, a fiercely protective mother, a devoted wife — and then the story about the struggle to hold onto that identity, to maintain a semi-sane life, even after she agrees to let that life be hijacked by politics. The first part of her book, and particularly the sections about her childhood and college years, is where Michelle Obama's writing shines brightest. An early chapter about piano lessons becomes an extended, but subtle, exploration of privilege. A stunningly beautiful passage on spring cleaning mixes with reflections on her parents' marriage, and ultimately lands on the comfort in choosing, over and over, to stay with your partner. In other words, this is one of those rare political books with truly excellent writing. Unfortunately, crafter-of-immaculate-prose isn't Obama's only mode. Whether due to years in the political sphere or earnest concerns about American society, she often gets didactic, even social-science-y, in even basic descriptions of her life. Another early paragraph describes the adult male relatives who populated her childhood, like the uncle who drove "an unlicensed jitney, picking up customers who lived in the less safe parts of the West Side, where normal cabs didn't like to go." So far, so good. And then she slips into politician-speak: "These were highly intelligent, able-bodied men who were denied access to stable, high-paying jobs, which in turn kept them from being able to buy homes, send their kids to college, or save for retirement." It's honest and assuredly accurate, but it sticks out. It's a stray piece of eggshell in an otherwise delicious bite of cake — your teeth hit it, and suddenly it's all you can think about. Obama, in other words, is at her best when she's getting into the particulars of her story. Her description of the oasis she found in her fellow black students at Princeton more effectively conveys how isolating race can be than any of the more policy-focused sections of her book. 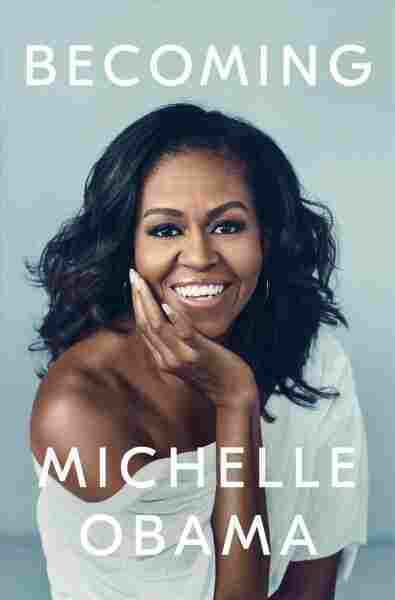 Childhood and college are only one-third of the book, though; Becoming is broken down into three sections, and the second ("Becoming Us") tells the story of her relationship with Barack. It's this section where she can be the most bracingly honest, both in relaying the ecstasy of falling in love — "As soon as I allowed myself to feel anything for Barack, the feelings came rushing — a toppling blast of lust, gratitude, fulfillment, wonder" — and the rough patches that follow. One of Becoming's key themes is the difficulty of marriage — both in general and to the particular man she chose to marry. Here, she goes far beyond cute campaign-trail lines about her husband's snoring and dirty socks, to show that her marriage could be downright maddening. There's the part where, six weeks after their wedding, Barack announces he's going off to Bali for more than a month to finish writing Dreams From My Father, having missed the publisher's deadline for it. There's her early "flicker of resentment" over her husband's all-consuming political career, followed by her frustrations over being "a working full-time mother with a half-time spouse." Not long after that, she and Barack go to couples counseling — reluctantly, on his part. It's clear that the point of telling these stories isn't to dish. Nor is it to complain about her husband; ultimately, she paints a picture of a marriage that is fiercely loving, on both her part and Barack's part. Rather, one gets the sense that Michelle Obama has grappled deeply — and is still grappling — with questions about what it means to enmesh two lives together. It's true that the Obamas' circumstances are rarified, but if anything, having her marriage be the focus of global attention has enhanced her perceptivity of the tensions every married couple faces. There's more warmth and authenticity in this book than your average political memoir, but some of the magic dims in the third section of the book: "Becoming More," which deals with the Obamas' White House years. Part of that may simply be that she experienced American political life along with the rest of us in that time: sorrow over school shootings, for example, or the tension of the 2012 presidential campaign. But mirroring the constraints of what she could do and say as first lady, she is also restrained in her writing here. She doesn't question the world of the White House here the way she thoughtfully appraises 1970s South Side Chicago. And while Obama is clearly passionate about her top causes as first lady, such as gardening with kids and meeting veterans' families, ultimately this is a section where Obama seems most like any politician, lapsing far more often into the policy speak that peppered the early chapters. Which is to say: This is where her protective walls seem to go up. The question is how miffed to get about this. On the one hand, Michelle Obama, like any former first lady, doesn't owe us any juicy details about her life. On the other hand, she is writing a memoir here, complete with a nationwide book tour. At any rate, it's true that Obama is a thoroughly careful person anyway. She's the type who rehearses for weeks — weeks! — before doing carpool karaoke with late-night host James Corden. The restraint she shows in the White House section may simply count as another instance — once again, perhaps inadvertent — of Michelle Obama showing us who she is. And here's who she is, by her account: She's an obsessively hard worker. She's type A — intense and tightly wound. She's pragmatic, with fragile patience for the fussier trappings of White House life and the constant fretting over "optics." She never lets herself make the same mistake twice: whether it's misspelling a word in front of the class in grade school or a hearing from a pediatrician decades later that Malia's weight is creeping a little too high, Michelle Obama sees a problem and goes into lockdown, nipping it all in the bud. She's proud of being black and of being a woman, and she cares deeply about making sure other black women feel they belong in America. And these may be the best reasons to read this book, after all: Fans of the widely popular first lady will get to know her at least somewhat better, to see an icon become more human. But as for the attention those things are getting, one can't imagine Michelle Obama complaining too much. She's restrained. She's got other priorities. Also, the optics would just be awful.